Love this look...the combination of yellow and dark blue is one ofmy favorite. Love your artnail too. 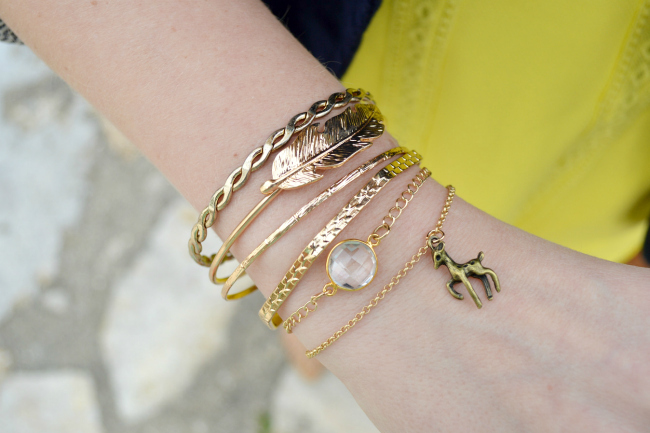 love your bracelets and your nails! Pretty perfect dear! I love the whole mix of colors, bright and elegant! Love this outfit! Your bracelets and mani are perfect! Great look! Love the yellow accents. Great colours! I especially love the blazer and handbag! Great outfit. I have that skirt is white. Love it in yellow and how you styled it. Such a cute color combination, I really like your blazer! LOVE this outfit. so classic with a much appreciated pop of yellow! and your hair looks gorgeous here, btw. What a very lovely color. Love the fun combo of yellow and blue! Your Ted Baker bag is everything! Love the color combo and that manicure!! So cute! Love the navy yellow combo! I love this color combo, so cute! Your nails are amazing!!!! I have had my eye on that Ted Baker purse it is gorgeous! Stunning look girl! Awesome look. I love those two colors together. Beautiful! Love the navy and yellow combination! Cute look! Loving the color combo! Your mani is amaze! Love it! I just love the yellow with the navy! Your color combos are always the greatest! Also the nails! So pretty! Cute look!! Love this color combination a lot. The bright yellow and navy look stunning together! Amazing outfit Anna. 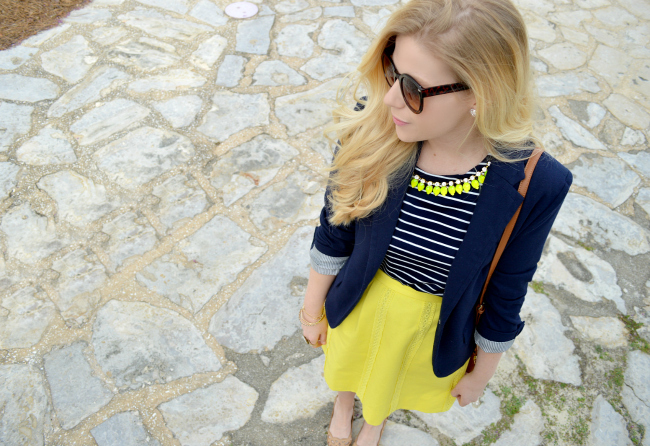 Love this neon yellow skirt with the navy blue blazer. The nails are amazing too. Nice look, I love your dressing style, simple charming. 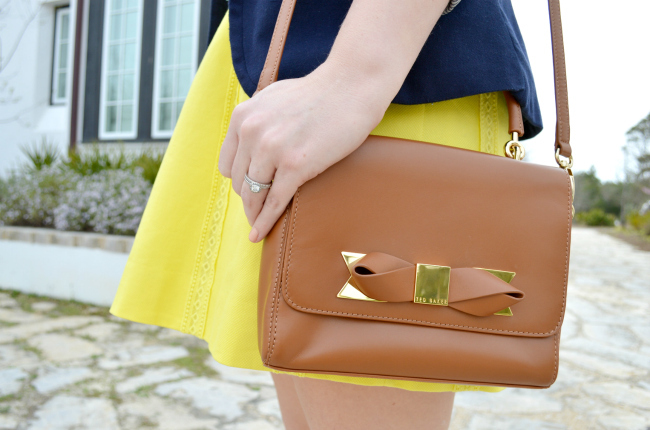 The yellow skirt is amazing, very cute, Love this color combo. This is so smart...defo a look I would wear- love it! Love the navy and neon! And can we talk about your nails! LOVE them! Beautiful! I love navy and yellow together! Love this outfit. The colors work so well together. Where did you get that pretty neon yellow necklace? Gorgeous outfit! I love the yellow accents. Great look)))And the color of the skirt and blazer are the color of the flag of my country))) Hi from Ukraine! !